The CRP4848 CNC machine kit offers high performance and a large work area at an incredible price. There are currently hundreds of these machines running across a wide array of industries and applications all over the world. Order today from a trusted name in the DIY CNC business! * Using CNC Router Parts electronics. Appropriate feedrates depend highly on material, depth of cut, cutting spindle and tooling. If you require increased Z-Axis travel, this can be accomplished with our 12" 5 Start Acme Lead Screw Z-Axis by recessing your work-piece in the table, or off the front of your machine (select the 12" Z-Axis travel option below). 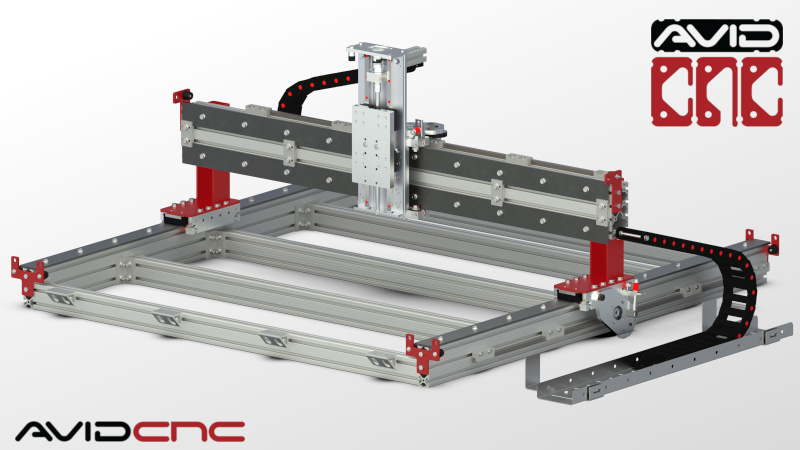 If you require increased gantry clearance, our PRO Series CNC Machine Kits feature architecture that can accomodate this. configured with optional Leg Kit, NEMA 23 Plug and Play CNC Control System, router mount, and tramming adapter. 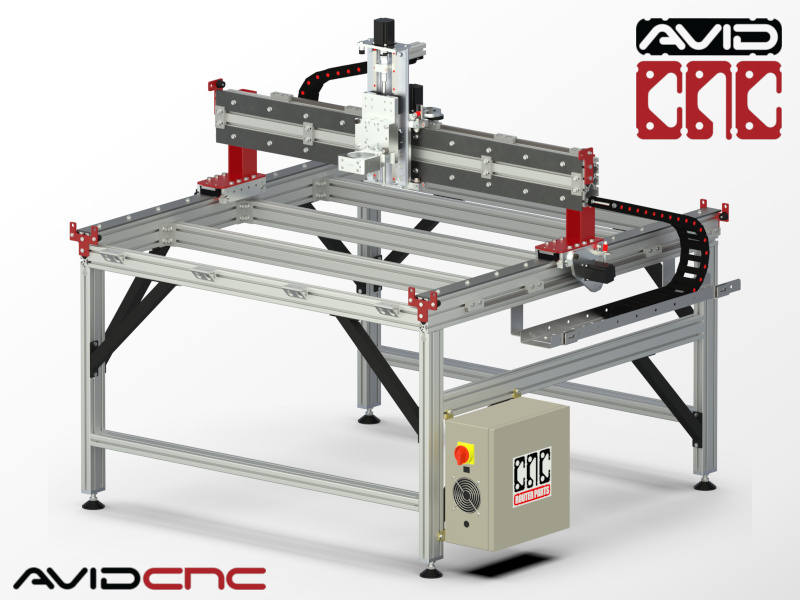 Please note that all of our Standard CNC machines feature a dual-driven gantry and require a 4-axis electronics package. With these accessories, a router or spindle, and a computer to run the CNC control software, you will have everything you need to assemble your machine and get cutting! If you have any questions about your machine or specific application, please do not hesitate to Contact Us, and we will be more than happy to discuss the options for your ideal solution! CRP4848 Assembly Instructions: a full step-by-step guide for building your Standard CNC Machine. This product was added to our catalog on September 5, 2011.